Tammy loves a challenge with a pinch of adrenaline, whether it’s in the newsroom on election night or alone at the helm at 2 a.m. in the rambunctious Gulf Stream. She has reported on the extreme sport of freediving from a remote island in the Bahamas, interviewed a reclusive, anonymous street artist in the seamy outskirts of Paris and written about the bittersweet tenderness of her mother’s dementia. As a career journalist, Tammy spent nine years at washingtonpost.com and a year editing travel guides before turning her attention to full-time storytelling. As an independent writer, she focuses on her passions: living small, travel, 50+ empowerment and the science of healthy living. Her writing and photography have appeared in the New York Times, Cruising World magazine and USAToday magazines among others. She's a regular contributor to TheWeek.com and USA Today Travel. As a columnist, Tammy wrote In the Stream, musings about her real-time sailing experiences for Classic Yacht ezine. 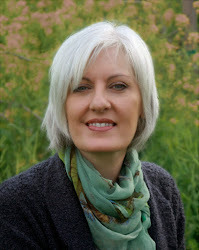 For Gannett's NowU.com, she wrote Lighten Up, featuring theories and tips for living small. Now she writes Dream Boats for USA Today Travel, featuring boats currently on the market. In 2010, Tammy and her husband sold everything, bought a boat and cruised for three years. She is writing her first book about the curious and inelegant path of following a dream: Redrawing the Lines, Reflections of a Midlife Runaway. "If you live east of the Mississippi, technically, you live on an island. Every year around a hundred boats prove this point by completing a circumnavigation of the entire eastern U.S. 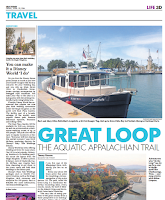 The path, called the Great Loop, is a continuous waterway..."
2005-present | Writes feature-length articles for regional and national publications, including USAToday, Cruising World, New York Times and others. Regular contributor to LivFun magazine and USAToday Travel. 1998-2005 | Consulted on major projects with technical specialization; interim assistant managing editor, fall 1998; wrote daily Iraq War email newsletter; consulted on major news events such as 9/11. 1997-1998 | Project manager for city travel guides, managing writers to compose 300-500-page, nationally distributed guides. Edited text, organized photo gathering, set and enforced deadlines. Oversight of online production. 1996-1997 | Managed weekend edition, liaison to Post newsroom, managed online newsroom on Saturdays supervising breaking news team, editing homepage and overseeing the site. 1992-1996 | Wrote, edited and designed a variety of laboratory publications; planned and managed annual Public Open House for 6,000 attendees and various special projects.